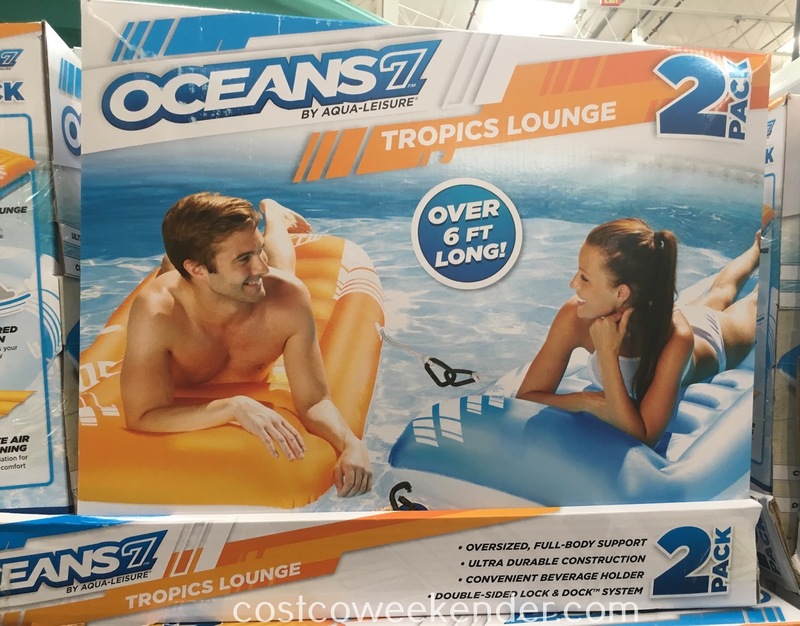 Get ready for some summertime pool fun with the Aqua-Leiser Oceans 7 Tropics Lounge. 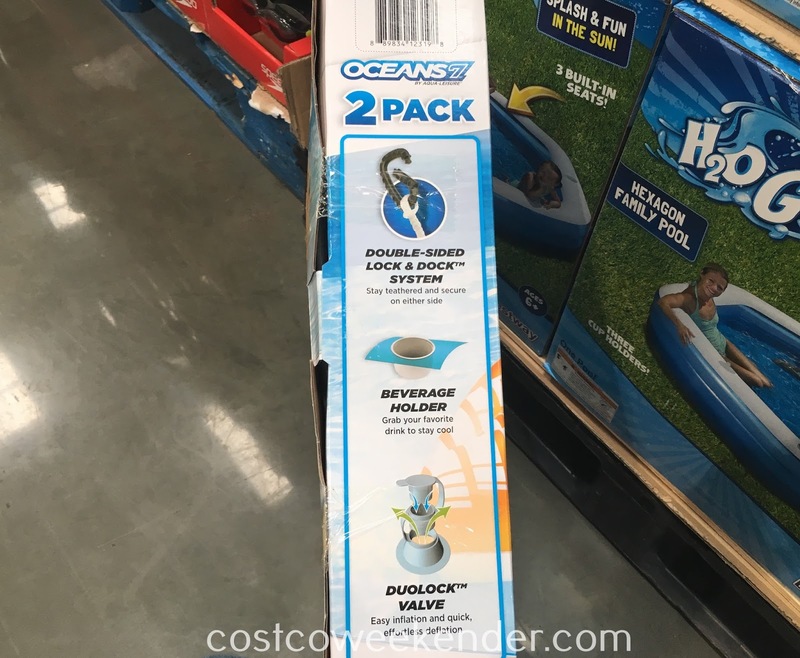 At less than $25 for a 2-pack, you can't really go wrong. Even if it lasts you just one summer season, I think this is a very cost-effective way to enjoy the pool this summer. 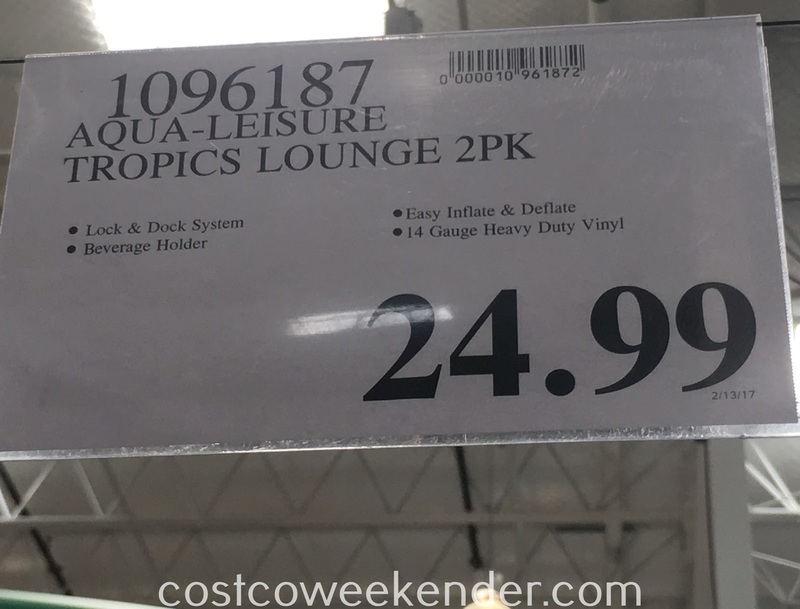 There's nothing like relaxing in the pool on a lounger with a drink in-hand. You can just have to let it float around on the water while you kick back. 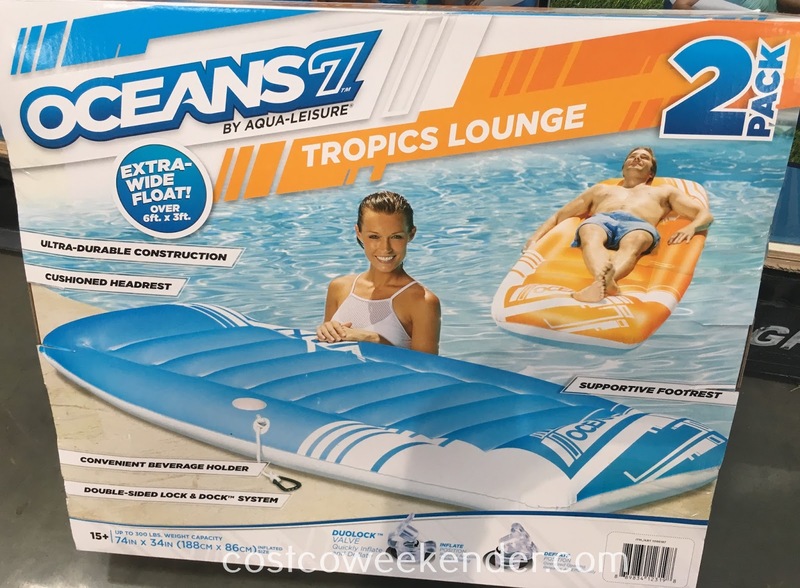 And unlike other pool loungers, the Aqua-Leiser Oceans 7, at 6ft in length, can comfortably hold the average person. You and your friends can easily relax and watch as time passes by. 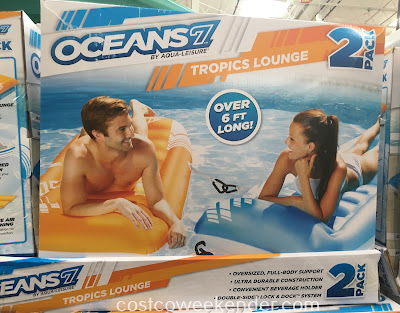 If you're more into some serious relaxing in the pool or even the lake, then check out the Bestway CoolerZ Blue Caribbean Island. Either way, you will be prepared this summer for some fun in the sun..and the water. Aqua-Leiser Oceans 7 Tropics Lounge (2 pack) - over 6 ft long!